Grades K-8. 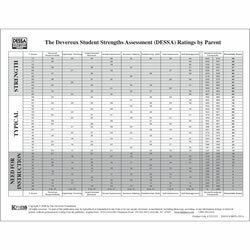 The Devereux Student Strengths Assessment (DESSA) is a behavior rating scale that assesses skills related to social-emotional competence, resilience, and academic success. It is designed to be completed by parents, teachers, and after school staff. 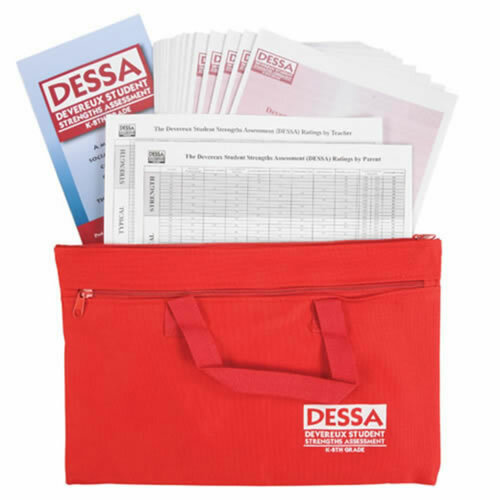 The DESSA Complete Kit includes the DESSA Manual, the DESSA Norms Reference Card, and 1 set of DESSA Record Forms(25 paper forms, which are scorable by hand) in a zippered tote bag. 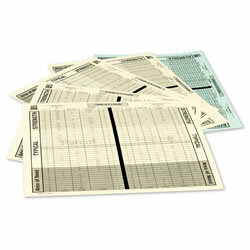 Each of the kit components may also be purchased separately. Why Should You Use the DESSA? 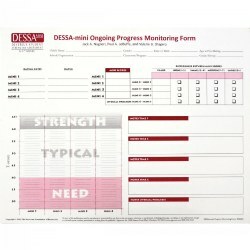 The DESSA is a standardized, strength-based measure of social-emotional competencies of children in Kindergarten through the 8th grade. 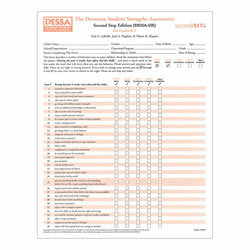 Grounded in resilience theory, the DESSA provides user-friendly, practical tools that meet the highest professional standards. 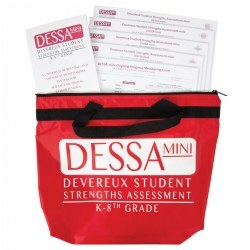 With the DESSA, parents, teachers and after school program staff can assess social-emotional skills related to school and life success. Administration time is less than ten minutes. 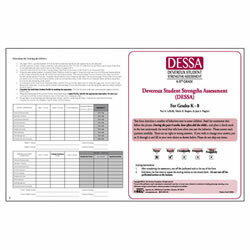 The DESSA Scoring Assistant, is a optional, Web-based program that provides online administration, scoring, and interpretation. Free downloadable classroom profile identifies common student strengths and needs. Watch a previously recorded version of the 1-Hour webinar here.